MIYB. Jacqui, we’re so looking forward to hearing you and Pauline speak at the event next month! What inspired you to start your business and how did you come up with your business idea? JS. 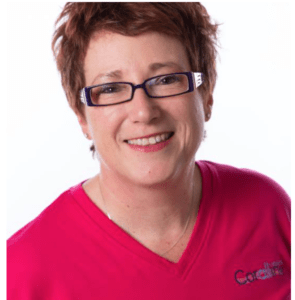 We had an excellent business coach called Angela George and she opened our eyes to running our own business and merging our skill sets to create a great combination. We are passionate about people being looked after when they are ill or injured and have a background in nursing, healthcare insurance and employee benefits. MIYB. The best women for the job then! What does a good day on the job look like to you and what’s the best part about owning your own business? JS. We just love being with our customers and helping them, wherever they may be in the country. We spend quite a lot of time driving around visiting their premises and their homes and making sure they have the right healthcare options and quality support. MIYB. What about the biggest challenges you face as business owners? How do you overcome those? JS. Work life balance is probably the biggest issue so we try to make sure that as a Director we don’t take our work home with us and that we enjoy life outside of work. JS. We have won 4 awards since we started 7 years ago: ‘outstanding newcomer’; ‘franchisee of the year’; ‘healthcare partner of the year’; and we were shortlisted for ‘new business of the year’ in the Herald Express ‘Women of Achievement’ in our first 12 months. MIYB. Congratulations! With that said and done then, what is the one piece of advice you’d give to any aspiring female entrepreneur and what are you most looking forward to about the MIYB event in Torquay? JS. Firstly, do it! And secondly, meeting other entrepreneurial women and hopefully inspiring those that have not yet decided to start their own business that they can. If you want to join Jacqui, her fellow Director, Pauline Neal and fellow, local female entrepreneurs for an evening of honest discussion about what it takes to set up a business in the area and down-to-earth networking with like-minded women, join us at John Burton-Race Hotel and Restaurant in Torquay on April 11th. Tickets £10.